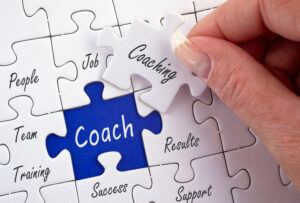 The Basis Of Effective Executive Coaching Is To Develop Talented Individuals Within An Organisation Into Leaders. It is a process of growth and development that requires a strong commitment. This effort is rewarded by becoming the best leader you can be, and the subsequent success and fulfilment that follows. Becoming an effective leader is a mental, spiritual and emotional journey. Through the process, leaders have to become used to encountering tough challenges and testing situations – all the while maintaining consistency in judgement and behaviour. I have been responsible for helping board members, senior leaders and executive directors with executive training and development which often includes executive coaching. This involves a course of one-to-one coaching sessions and sometimes coaching in real time as they go about their day-to-day work. My role here is to provide a confidential sounding board, whilst enabling them to shift their mindsets and change their behaviour in order to progress as an effective leader. Executive coaching allows leaders to develop greater self-awareness and confidence in their own ability to inspire and influence their people. This increased impact on the organisation is strengthened by their ability to make the right decisions in tough situations. This helps to increase engagement and improve the overall mindset of the people within the business. Through this process leaders become role models. They show the importance of continuing to grow and develop in order to maximise the ablity to contribute as the organisation itself grows and develops.